Confession in Buddhism is somewhat different than in Catholicism as we can see in the story of the fruits of the homeless life. (Sāmaññaphala Sutta - DN 2 *). In this story the conscience of King Ajāttasattu is pricking him - after all he has killed his mother and father and usurped the crown! He decides that a visit to a holy man might help him sleep better at night. After quizzing his courtiers on who to visit he decides to go to see the Buddha. As they approach they must abandon their transport and go on foot into the jungle. Since the Buddha is staying with a great company of monks, the King thinks he should be able to hear them, but all is silent - the murderer is worried about being assassinated himself! However they come into the presence of the Buddha and after a long talk Ajāttasattu goes for refuge to the Buddha as a lay follower, and then confesses his murderous actions. The Buddha's response, to the king in the first place, and to the bhikkhus after he has gone, highlight the two very important aspects of confession in Buddhism. "Indeed, King, transgression [accayo] overcame you when you deprived your father, that good and just king, of his life. But since you have acknowledged the transgression and confessed is as is right, we will accept it. For he who acknowledges his transgression as such and confesses it for betterment in future, will grow in the noble discipline." The word accayo literally means "going on, or beyond", and in the moral sphere, means acting outside the established norms - so transgression is quite a good translation. "The king is done for, his fate is sealed, bhikkhus. If the king had not killed his father... then as he sat there the pure and spotless dhamma-eye would have arisen in him." The King leaves feeling much relieved, having unburdened himself, having experienced remorse, and resolved to do better in the future. This is the benefit of confessing. It brings the unskilful act to consciousness and helps us to see the consequences of the action, and by reflecting like this we are less likely to act unskilfully in the future. The King is actually better off that he was. On the other side the Buddha was able to just hear his confession. Perhaps not everyone would be able to hear about someone killing their parents and maintain their equanimity, but the Buddha can. He is able to see that despite the crime, that the King is genuinely remorseful, and that it is important to witness that and encourage it. The past is gone, we can't change it, but we can change now and experience liberation in the future. However notice that Buddha does not absolve the King. He does not because he cannot. The fruits of the action cannot be neutralised. Indeed if he had not committed the heinous act (patricide was considered a very horrible crime in ancient India) he would have experienced Insight (the opening of the dhamma-eye) after listening to the Buddha. Equally the Buddha does not rub it in. He does not tell him, "OK you confessed, but you're still going to suffer". The Buddha is not cruel, he acknowledges a small goodness for what it is, and lets the King depart without much comment. However he does not let the opportunity pass to reinforce his message for the bhikkhus. He did not want them to think they could simply confess and get away with things. As a King, Ajāttasattu had a lot of responsibilities, and it is clear that he placed these above self-knowledge or liberation. He wanted to be the king so badly that he murdered his parents. The bhikkhus, however, have ostensibly abandoned worldly concerns and are supposed to be devoting themselves to attaining liberation. They cannot afford to be casual about the consequences of their actions. So the Buddha drives home the message by pointing out that the King is "done for" - the implication is that the consequences of his actions are going to be severe, that even a face to face meeting with the Buddha cannot save him from a great deal of suffering in the future. Most likely he is repeatedly reborn in hell realms. There is another important point here. At the beginning of the story the king is restless, tormented by his conscience, and even a little paranoid. Unconfessed unskilfulness weighs on our conscience. We feel guilty and we fear punishment. The Buddha knows there is no need to punish Ajāttasattu as he is suffering in the present, and will continue to suffer in the future. This is a very difficult idea for Westerners. We are inculcated with the idea that guilt demands punishment. Society demands that someone who transgresses must have some harm inflicted upon them. We do not believe in an ethical universe in which everyone must live with the consequences of their actions, and in which evil definitely results in pain for the evil doer. This is not enough. We want to see justice (ie punishment) in the here and now. Christians also abrogate the notion that judgement for sins is God's prerogative. In fact the threat of punishment makes confession, makes taking full responsibility for our actions, all the more difficult. It is only when the threat of punishment is removed that we can fully confess our actions, experience remorse, and take the necessary actions to make amends or to prevent a repetition. Given that so few people wholeheartedly take on Buddhist ethical precepts, it may mean that we have limited opportunities for confession in the Buddhist sense. We may also have to exercise patience with those who seek to inflict harm on us as punishment. There is a lot more that could be said on the issue of culpability and justice from a Buddhist point of view but it must wait. 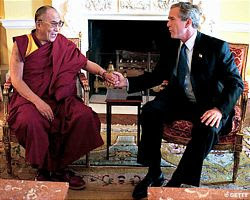 To sum up: in Buddhism one is encouraged to confess to someone who is able to receive the confession, this is important. Our confessor should at a minimum understand the ethical precepts we follow, and ideally should have some experience in following them. The point of confession is to experience remorse, to reflect on the consequences of our actions, with the hope that it helps us to restrain ourselves in future. In practice this results in a sense of relief. Confession does not, and cannot absolve us from responsibility for our actions, the consequences of which will still manifest. If we take Buddhist practice seriously then we try to behave ethically. An important aspect of this is to acknowledge our failures and to learn from them. Confession is indispensable in this process. *translations are from Walsh, M. The Long Discourses of the Buddha. (Boston : Wisdom, 1995) p.91ff. There are some problems with the translation that I will regale you with in a separate essay. They don't affect my conclusions.